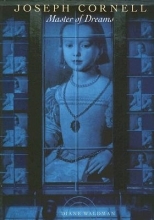 Joseph Cornell created a "poetic theatre of memory" from his fantasies. His box constructions and collages feature such characters as a Medici princess, birds, ballerinas, and movie stars. Using the seemingly commonplace materials that he collected such as cordial glasses, mirrors, marbles, and maps, along with clippings from books and magazines, childhood games, and Victorian illustrations, Cornell beckons us into a world at once distantly magical and nostalgically like home. Diane Waldman first met Cornell in 1963, when she was writing her master of fine arts' thesis on the subject of his art, and their friendship continued until his death. In this volume she probes Cornell's elusive imagery in his earliest Surrealist-inspired collages of the 1930s, his masterful box constructions of the 1940s and 1950s, his experimental films, and his final collages in his last years, adding to the analysis of his art her own personal knowledge. Cornell's universe of objects and images, vivid with half-remembered stories, reminds us ultimately of the strangeness of the familiar, the odd familiarity of the strange, and the final mysteriousness of the world we thought we knew.